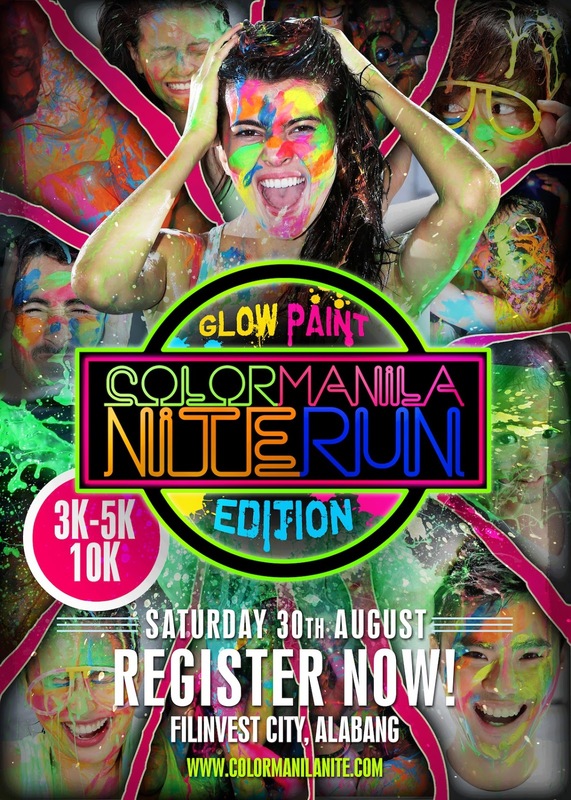 Color Manila’s natural high lives on--- from their very first run in Bonifacio Global City last 2013 with colored powder at day to glow lights at night, now they take fun run in a new level; this time runners will be playing with glow paint! 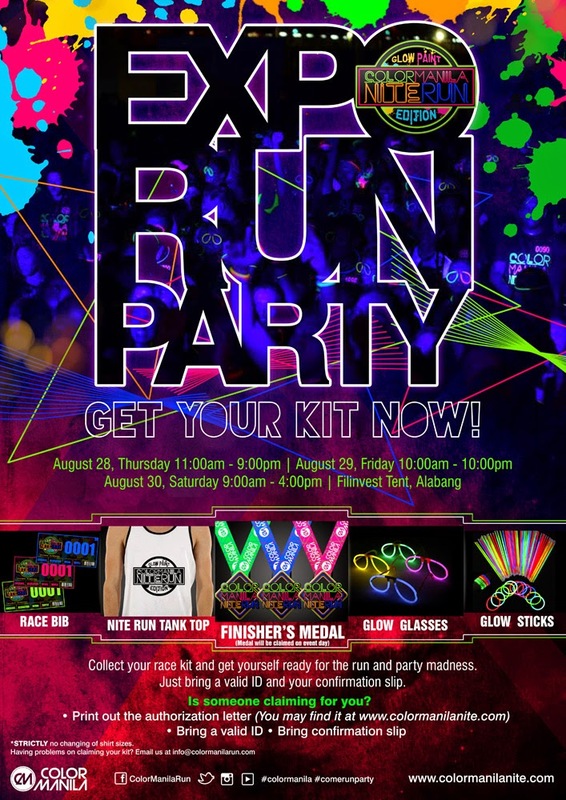 On August 30 as runners go through the race route in Filinvest City, they will be doused with neon-colored paint and once they’re under a blacklight, boom! Their experience are heightened as the Runners are transformed and they glow in multi-color effect and as runners cross the finish line, all finishers, that’s right ALL finishers are rewarded with the much coveted Color Manila 2014 medal. Now the fun starts all over again! After the finishline, Ravevolution a group known for color paint rave events will keep the energy high by having its DJs play all night long and splatter glow paint using their glow paint cannons. What’s with the change? “We want to bring out the fun in the fun runs, and make it so exciting that you would want to do it all over again! We innovate in each leg, so we always have something new in store for our runners.” says Color Manila’s Business Development Head Justine Cordero. “The heart of innovation is to keep the energy high and hopefully spread more smiles, colours and a unique experience for everyone, without sacrificing safety that is why our team made sure that the glow paints are laboratory-tested and non-toxic, making glow-paint edition another fun, and safe event. Registration is on-going until Aug 29 or while supply last. Runners can register online through their credit card or Paypal account or purchase a prepaid card that are available in selected Toby’s and Runnr stores and to make it more convenient for our participants they can go to any SM Cinema and purchase their tickets there. Each race kit will include glow glasses, glow sticks, Color Manila tank top, race bib, finisher’s medal plus freebies from our sponsors. Race kit claiming will be from August 28-30, at the Filinvest Tent, Alabang, alongside with the Health and Wellness Expo, in which participants can take part of and enjoy the discounts and giveaways from our partners. This fusion of fitness, music, and colors is made possible by the following: Filinvest City, Filinvest Tent, Crimson Hotel, Nature’s Spring, Raveolution, GMA7, Wave 89.1, Business Mirror, The View magazine, Inflight Traveller Magazine, and Pinoy Fitness. 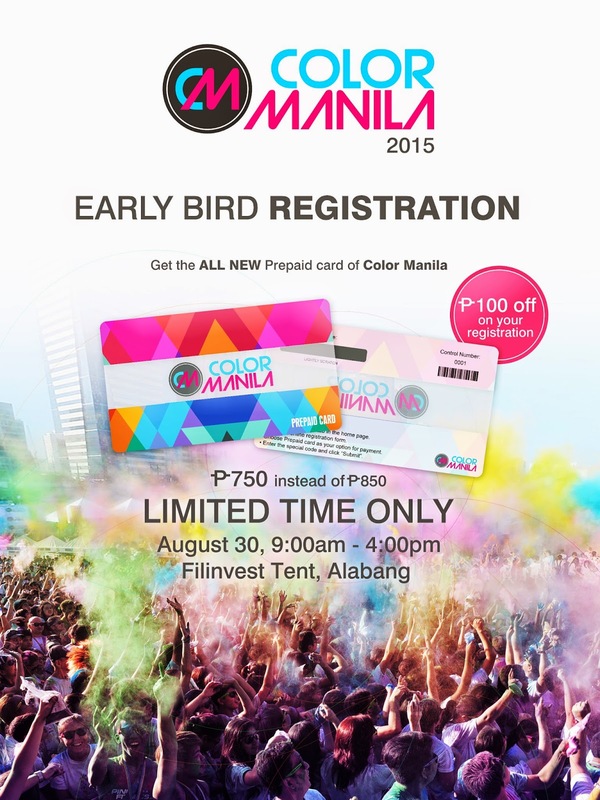 For more information and details, log on to http://www.colormanilaniterun.com. Color Manila Goes Regional: With the success of Color Manila color-concept races in 2013, it was bound to go expand its boundaries outside Manila and in 2014 it was welcomed with open arms in the queen city- Cebu City. They splatter color like there was no tomorrow, sang the songs, our DJ’s played and posted selfie photos on their Facebook and Instagram accounts, in other words they showed us that Cebuanos knows to have fun like no other. The Snowball Effect: This was just the beginning, thousands of eye candy photos posted online, it was just matter of time that other cities follow. Then we had Color Manila Nite- Cebu leg and of course Color Manila Bacolod was just around the corner and yes they partied hard and showed they can add their own spice to the colourful event by adding a twist of Maskara Festival. Now, Color Manila aims to extend this kaleidescope of colors and splashes of fun to La Union (end of 2014), Iloilo, Davao and CDO by 2015. “We want the local communities to embrace this event and bring out their unique culture through Color Manila Run.” Says Justine Cordero of Color Manila. Let us keep spreading good vibes and color to every part of the Philippines. Truly color concept races is more fun in the Philippines!